Nothing stays the same, not even the watch industry. Presenting the best timepieces from 2014. Swiss watchmaking has evolved over the last few decades, and today, watchmaking is both an art and a science. Mysterious and intangible, time is a force of nature with the power to transform. And since it's an entity that rules our lives, celebrating it becomes all the more important. Every year, the watch industry pays tribute to this grand force by showcasing the finest timepieces created by its experts. Swiss watchmaking has evolved over the last few decades, and today, watchmaking is both an art and a science, given how precise and detailed the creative process is. Be it the amalgamation of modern technology with the traditional mechanical movement or the acquisition of family and individual-owned enterprises by large conglomerates, the watch industry is pulling out all stops to ring in a brand new age. The latest innovations in the industry were showcased at the two international watch fairs, the Salon International de la Haute Horlogerie and the Baselworld Watch and Jewellery Fair, held in Switzerland earlier this year. Many an object of Swiss ingenuity was unveiled here, from the world's first Osium timepiece to the thinnest minute repeater yet. 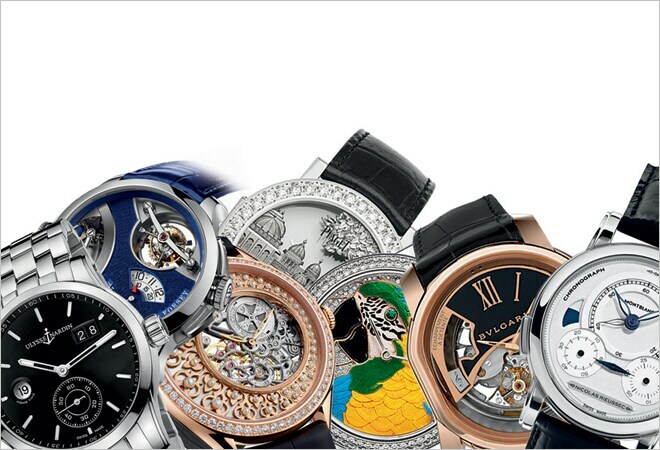 The Swiss timepiece industry stands tall today, unfazed even in the face of the smartwatch threat. After all, new-age gadgets may come and go, but the ancient art of horology lives on.